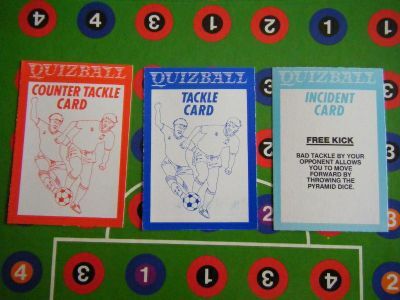 Brightly coloured quiz based football game. 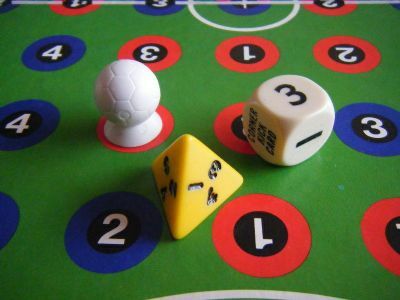 Answer questions, roll dice and move around the pitch to score a goal. Nice but cheap illustration on the box. 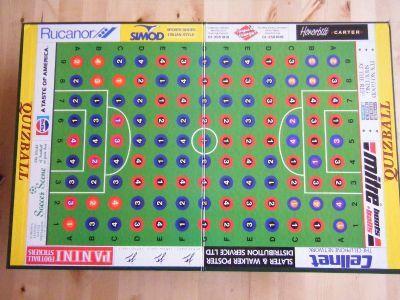 Nice and bright gameboard with real advertising hoardings! When in doubt add in an unusual shaped dice! 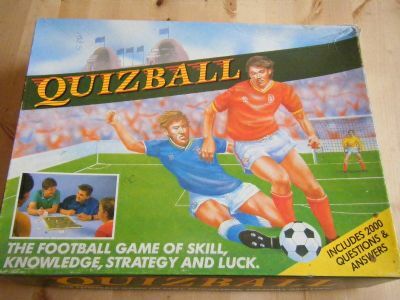 I have lost count of the number of football games that use the same moulded ball playing piece. Tackle and counter tackle (whatever that is!) cards plus quiz questions.